A child’s early experiences often set the tone for their well-being. These experiences, along with parental interaction, help to ensure their future success. One easy way to interact with them is to get them a gift that’s science related and use it with them. As a parent of five children, I’ve had some success with this. While several of them are drawn towards math and reading, few of them naturally lean towards science. However, when we do experiments with them, they really enjoy it. So, we’ve made it a regular family activity. Along the way, we’ve accumulated a lot of tools and experiments and learned quite a lot. 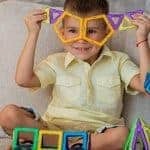 So, if you’re a parent looking to get your child started, here’s a few good science kits I recommend. This crystal growing experiment is something that my 8-year-old and 12 years old boys have really bonded on. Both of them agreed that it was much cooler than watching mold on a piece of cheese grow. If you’re doing this with anyone younger than 10 (or a little clumsy), you’ll definitely need to be there to supervise as directions do call for boiled water. It comes with seven different kits that they can put together and watch grow. That being said, you can mix and match the kits to make them whatever size you want. If you’re wanting only big crystals, you’ll likely get 3 or 4 based on how much of the crystal seeding and powder you use. They take about 7 to 10 days to grow and stay nice for years. If you put a silica gel pack in with the case, they’ll last indefinitely. Overall, these are inexpensive, come with a nice little fact sheet about crystals you can use to teach your kids about them, and last a really long time if you’re careful with them. The kit comes with everything you need to make the crystals. There are other crystal making kits out there. Some are more expensive and some are less, but for the money, this is the one I feel is the best put together. 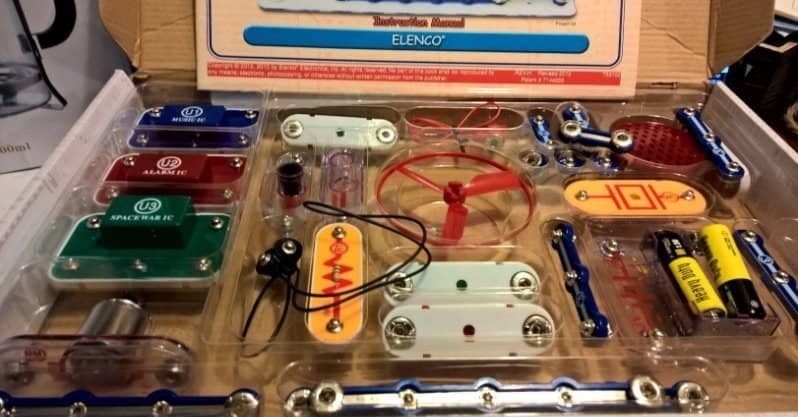 If you’re looking for a good science, technology, engineering, and math gift for your 5 or 6-year-old, this 20 piece kit is ideal. It represents STEM principles that allow your children to construct, engineer, explore, and experiment. This kit is also relatively inexpensive on sale at just around $10. The kit includes 11 activities from changing the color of a fruit, testing an acid or base, creating crystals, making a volcano and more. Each kit has enough that we were able to do each test multiple times. You can also use some of the materials you have around the house to expand upon what the kit has already given you. Honestly, you could do most of the experiments even without this kit but gathering all the materials simply wouldn’t be worth your time. Even though it’s recommended for six-year-olds I’d recommend you supervise just to prevent a huge mess. That being said, these experiments are safe enough that I had my 4-year-old join in as well. The Jr. SC-100 is the first step in five kits that Elenco sells that help kids play while learning about electrical circuits. The Junior comes with 101 different electronic projects with 30 pieces that require no soldering or tools. Some of the “projects” simply replace a part. So, I wouldn’t call them all unique; however, there is a lot of fun to be had here. We recently featured this in our gifts for 8 year old boys. While 8 is the recommended age, a bright 6-year-old who is methodical in their thinking could handle it. The Junior is a great way to get started and gives you its easiest projects first while slowly working you up to its most difficult. Overall, if you find it on sale for under $20 it’s a good deal. If your child takes to it, I highly recommend the other kits as well. The next step up the “Original” comes with 300 projects. 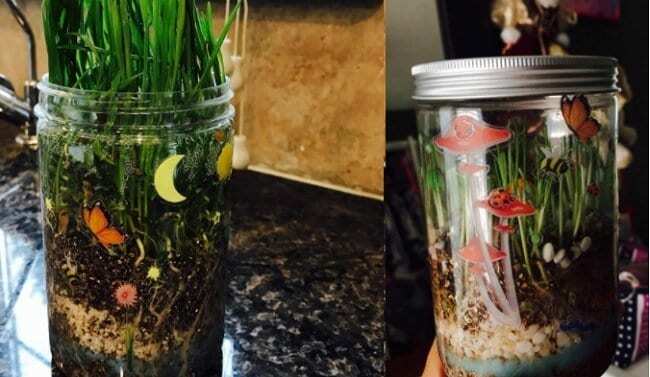 This inexpensive terrarium from Grow ‘n Glow is a great mixture of science and art for your kids. It gives you everything your child needs to watch two different plant cycles grow. The minimum recommended age is six years old, but we let our 3-year old participate in the fun as it’s very safe. This kit can begin to sprout in about 3 – 4 days. Ours took more like 5. For most people, it lasts a few weeks and then gets overgrown and molds. If you want it to last longer be sure not to overwater it. If you want to see the included rabbit, you might also want to leave out a few seeds or even use a larger mason jar. For more fun you could try a Hydroponics Herb Garden with your kid. Before I get into this kit we’ve been able to make bath bombs with our kids without a kit. Still, it actually was quite expensive to purchase all of the different components. 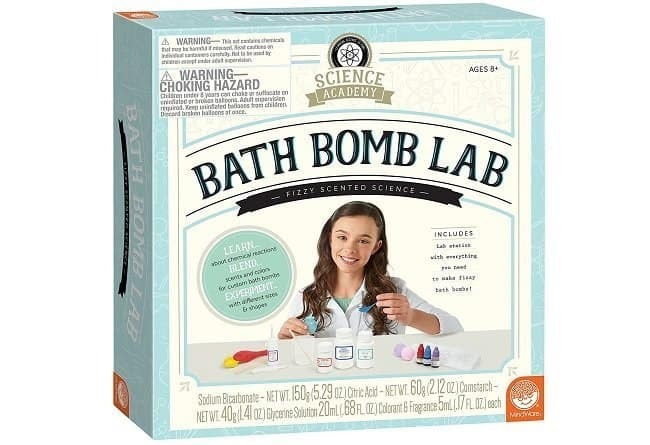 An alternative to purchasing everything separately is this Bath Bomb Lab kit. My daughter absolutely loves it. It comes with the molds, measuring beakers, goggles, balloons, stirring sticks, and the components you need to make around 12 bath bombs. After going through this you can continue to use it by purchasing your own ingredients at the store. These include sodium bicarbonate, citric acid, cornstarch, glycerin, vanilla fragrance, and other ingredients you can experiment with. I’d recommend this to girls under 10 as it’s fairly simple and gets a bit boring for kids beyond that age. Here’s another great science kit for 5 and 6 year olds from 4M that you can find for as little as $5. It includes 6 different science experiments that include launching a rocket with vinegar, writing invisible messages, generating electricity with a lemon, creating a working volcano and more. This kit is inexpensive but does call for some common items you can find in your kitchen including lemons, vinegar, baking soda, and food coloring. So, you’ll need to be hands-on with your child and have these to make it work. As it’s a rather small kit it ships as an add-on item for orders of $25. 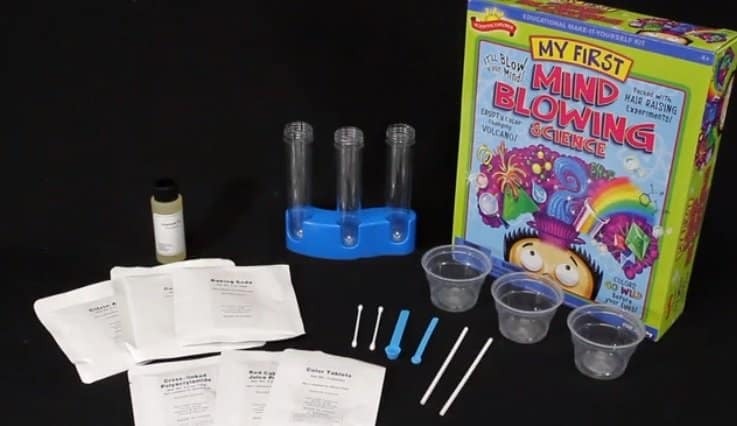 So, you might want to check out 4M’s other basic kits like Bubble science, illusion science, magnet science, and static science, to get to that amount. This next one might be more fun than educational unless you take the time to look up some additional information about Geodes. This particular kit comes with 12 geodes that include a wide variety of mineral possibilities. The Geodes come from Northern Mexico and all have pretty good crystals inside. This particular kit is certainly not the only option and you could go a bit more ham on this one and spend more money to get the larger geodes. With kids, however, I feel this is the perfect size. It comes with a plastic bag that you break the geodes inside of in order to avoid any debris. So, it’s relatively safe. Have a child whose an aspiring paleontologist in the family? I recommend you take them outside to experience as much as you can and when they’re older, have them volunteer at a local museum or lab. While they’re young, options like this fossil kit will keep them thrilled for hours. You start with an excavation brick and use a digging tool, brush, and magnifying glass to gently extract 10 fossils. This process isn’t as simple as it sounds and will leave your kids busy for a few hours trying to get through the plaster-type material (depending on their age). Anyone younger than six might have an entire day’s project on their hands but someone around 10 might finish in an hour or two. This project is pretty messy with the dust and plaster material. So, doing it outside or with a plastic tablecloth would be my recommendation. That being said my kids really enjoyed the mess and it added to the experience for them. Part of what gets kids excited about science is all the magical things they can find out about the world around them. This kit from Scientific Explorer helps them discover exactly that. It’s recommended for kids ages 6 and older and includes a variety of wizard-like experiments. First, you’ll make your own hat (something that was a bit gimmicky for older kids). Next, you make your own wand by placing crystals in it to fill it. After adding water the entire wand is filled with big crystals. 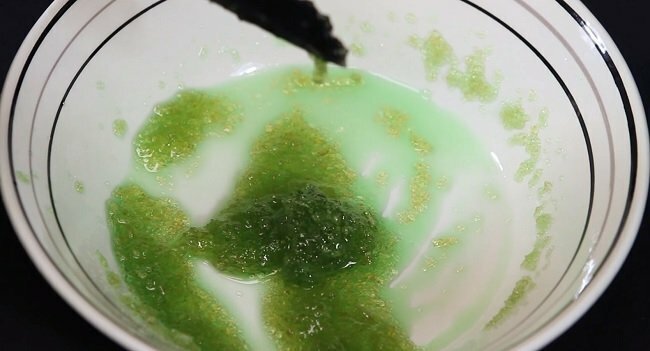 After that you do various experiments including a Magic Lava, Glow in the Dark, fizzy frenzy, test tube crystal ball, and various color changing powder experiments. Overall, this is a great little kit for your kindergarten age kids. And the more you play along the more fun it will be. For older kids, they might prefer other science kit options. With the magic feel to it it doesn’t feel as educational; however, it’s a fun place to start with your young kids. What better way to teach your child science than to involve their sweet tooth in the process? 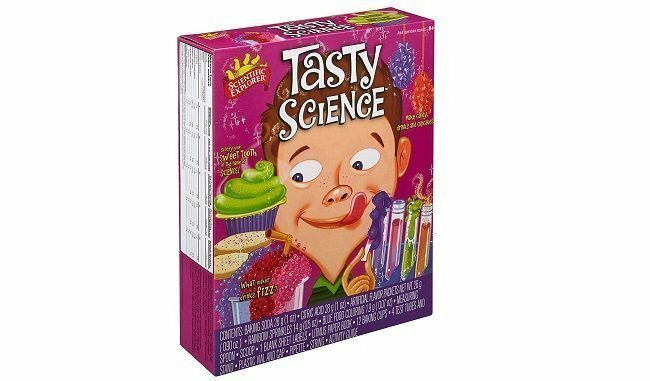 This Tasty Science kit from Scientific Explorer allows your kids to learn why soda fizzes and why cake rises. With it, you’ll make rock crystal candy, cupcakes, cookies, and make drinks fizz. This is another kit that can make quite a mess if you have younger kids. So I’d recommend adult supervision here for young kids. It’s great for kids up to ten but I wouldn’t recommend any older. Overall, it’s a pretty decent kit. That being said I didn’t find as many teachable moments with it as I thought we’d have. The soda that you make was fun to try but certainly not something I’d recommend you drink. Also, you’ll have to borrow some other ingredients from your kitchen. Don’t be surprised if you have to purchase a couple of them from the store. At $15 I feel that the pricing is fair. This is a kit that my 8-year-old son and I did last year. 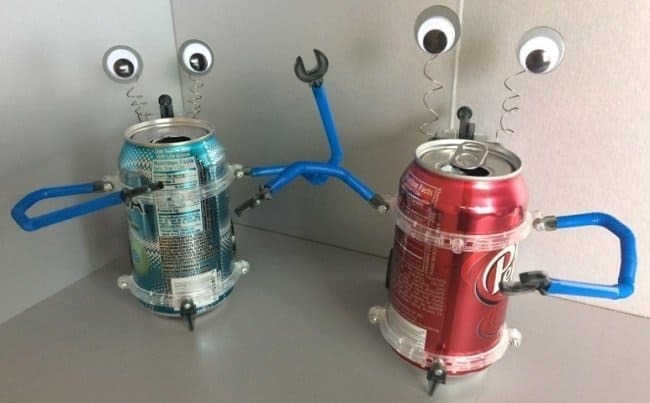 It allows you to repurpose a tin can and turn it into a functional robot. He did need a bit of help with some of the smaller screws, but overall he was able to figure out most of it himself. The robot itself is fairly simple simply walks forward. However, it’s a bonding experience that my son still mentions from time to time today and something he still keeps on his dresser. This gross science kit from Scientific Explorer is a lot of fun for kids. You get to grow your own germs, fuzzy mold, fake blood, and even make a stinky intestine. You also get to learn the science behind your stinky bodily functions. In terms of what our kids liked, all of them (girls and boys) really enjoyed this from age 3 all the way up to our 12-year-old son. I acted liked I was a bit extra grossed out with the various experiments and the kids really thought that was hilarious. Overall, I highly recommend this $14 kit for any age and gender along with some adult supervision. Check out these great science experiments you can do at home. Ultimately the most important thing of all is to have fun and do projects with your kids. Interact with them in a way that makes them think and it provides rewards for both of you. There was a point in time when my wife and I literally felt like electronics took over our house. While this is admittedly still a problem, if we get outside, go to parks, and do projects like these together with our children they naturally lean more towards the STEM subjects than they would have otherwise.